Outdated drivers may heavily affect your PC performance and lead to system crashes. 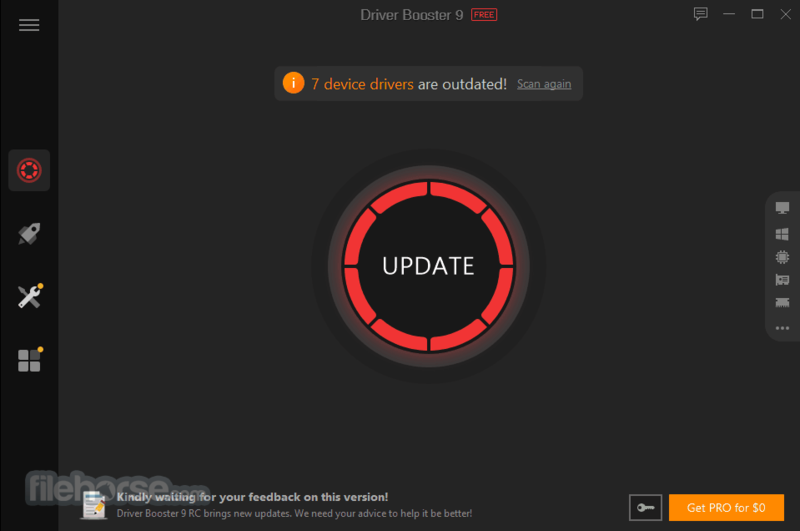 Driver Booster Free, designed with IObit's most advanced driver update technology, scans and identifies outdated drivers automatically, and downloads and installs the right update for you with just ONE click, saving you loads of time. Here is the best software to update your drivers automatically. Driver Booster provides a simple way to update drivers for Windows 10, 8, 7, Vista and XP. Moreover, this driver updater is specially designed to tweak drivers for better gaming performance and ensure better PC performance by enhancing updating security with Restore, Uninstall & Rollback features. It's the right driver update tool to protect your PC from hidden security vulnerabilities, hardware failures, conflicts, and system crashes. Fast & Free Update Drivers in Windows 10, 8, 7, Vista & XP! Most Powerful Driver updater to Keep Drivers Up-to-date. Driver Booster Free 6 can update all outdated/faulty/missing drivers with just 1-click. In this version, the driver and game component database is greatly expanded from previously 1,000,000 to presently 3,000,000, which ensures almost all outdated drivers and game components can be updated for all users. And by providing drivers that pass Microsoft WHQL tests and strictly follow IObit Review Rules, the accuracy and security of driver updating are guaranteed. Besides, Driver Booster 6 also offers auto driver update service so that driver download and installation can be performed while the system is idle, which saves users a lot of valuable time. 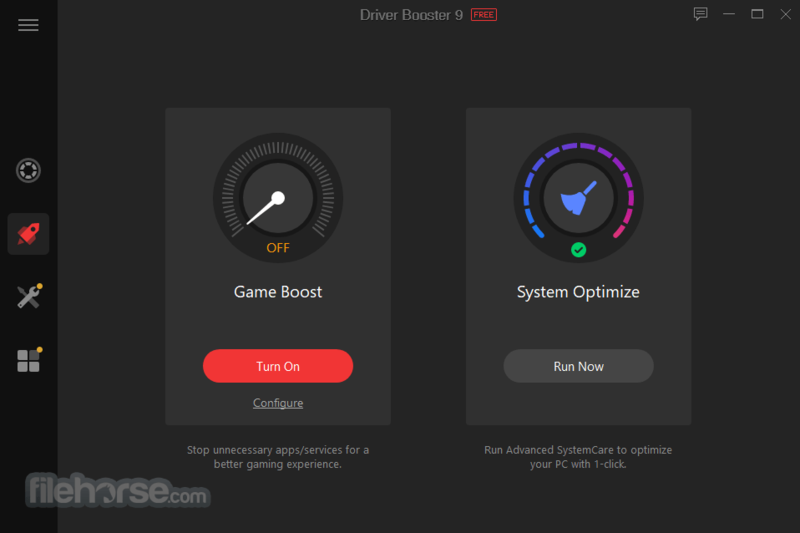 Most notably, Driver Booster 6 adds a brand new feature, Boost, to bring users the best gaming experience by boosting the system with 1-click. Moreover, the 7 useful tools in Driver Booster 6 helps users to restore the system, view system information, and fix the common but bothersome problems such as no sound, network failure, bad resolution, and device error. In summary, Driver Booster 6 not only updates outdated device drivers & game components and helps fix common but tricky problems to increase the system compatibility & stability, but also boosts system for a better gaming experience. Driver Booster 6 only supports drivers that have passed WHQL test. HTTPS connection is newly adopted to encrypt your connection with server while downloading drivers. 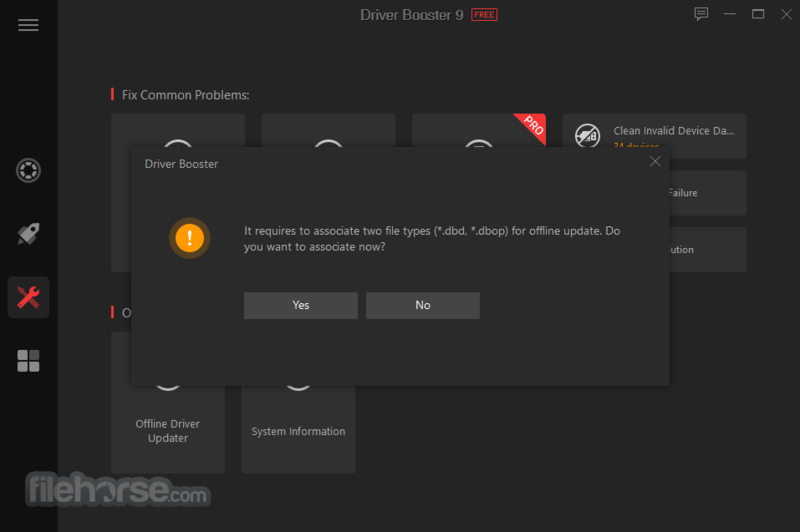 To guarantee a higher level of computer safety, Driver Booster for PC also creates a restore point before installing a driver in the event something goes wrong with the installation. Driver backup is also there to help when facing compatible issues. Updated graphic drivers often give major performance improvements, particularly for new games. You can always get latest graphic drivers for smoother streaming and media editing with Driver Booster. Moreover, most popular game components such as Game for windows software 3.5, XML 6.0, Silverlight 5, and Microsoft Visual C++ Redistributable can be found for game launching. Updating driver always costs a lot of time, sometimes even affects your daily work. Driver Booster 6 expanded its automatic service, besides auto download you can also enjoy auto install and update while system is idle. Just let Driver Booster 5 runs in the background, you would enjoy better pc performance with up-to-date drivers. Note: Limited functionality in demo free version. 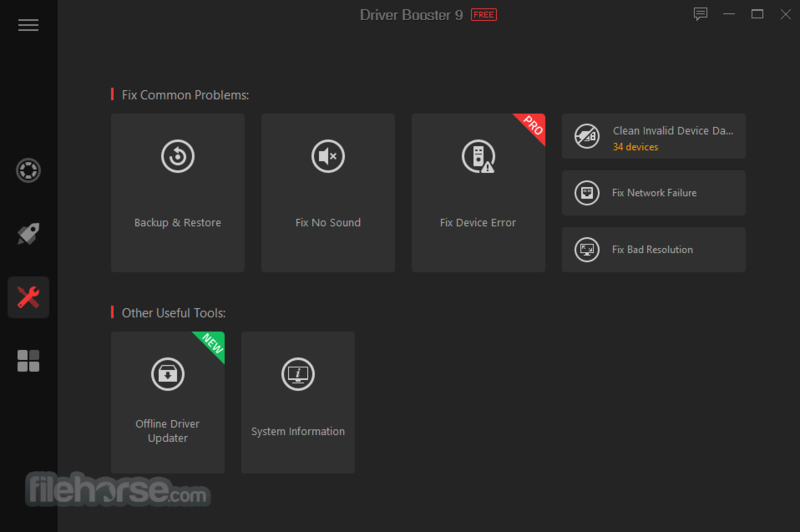 Driver Booster Free allows you to perform driver updates but lacks a number of features only found in the Driver Booster Proversion.